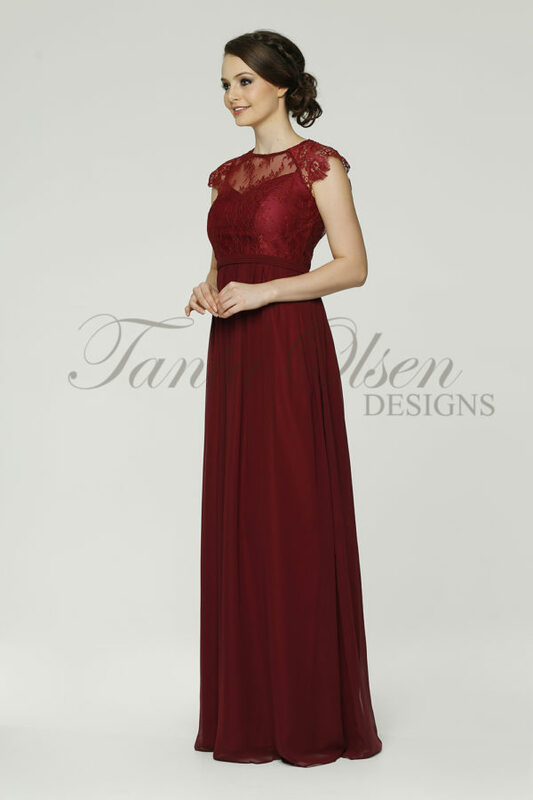 Introducing this gorgeous Silk Romance Bridesmaid Dress by Tania Olsen, its feminine cut and fine details making it the perfect dress for your next formal, wedding, or evening affair. 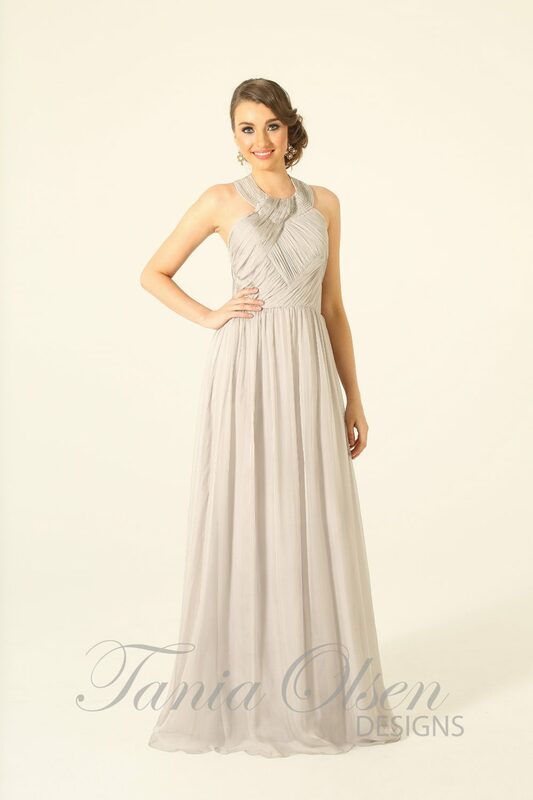 Glide into your next event in this gorgeous Silk Romance Bridesmaid Dress by designer favourite, Tania Olsen. Featuring a high scoop neck, and detailed open back, this Silk Romance Style was designed to flatter all silhouettes, with a cinched in waistline and falling skirt and a ruched bodice drawing the eye to the intricate beading located on halter neck style collar. Pair with a bold lip and strappy heels for a refined evening look. Drawing inspiration from its name, this romantic dress comes in three colour options, yellow, grey, or peacock.